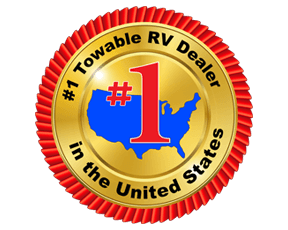 This travel trailer is perfect for a family thanks to the bunk beds, which allows you to sleep six people each night. 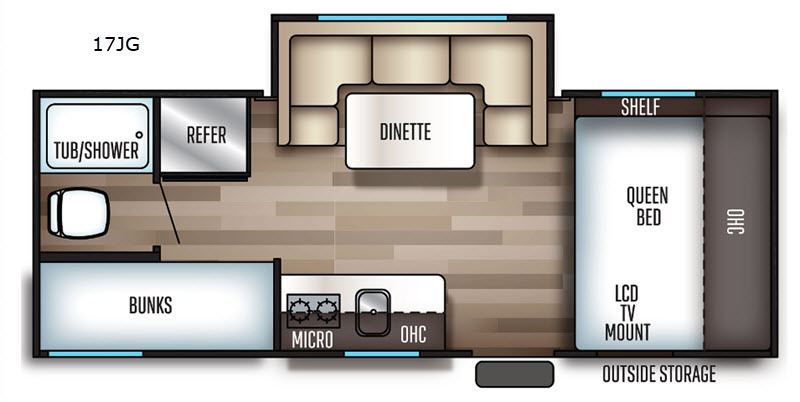 The slide out in the living area provides your crew with more interior space and you'll find a u-shaped dinette here that is great for meal times and can also be converted to additional sleeping space. 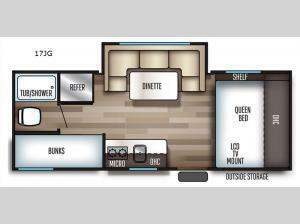 There is a comfortable queen bed at the front of the unit and you'll find a private toilet and tub/shower at the rear of this model. This unit features outside storage, so bring along the fishing poles and tackle boxes!